A creamy and satisfying raw and frozen slice which has a very high healthy fat content and is flavoured with the amazing Acai Berry Powder. 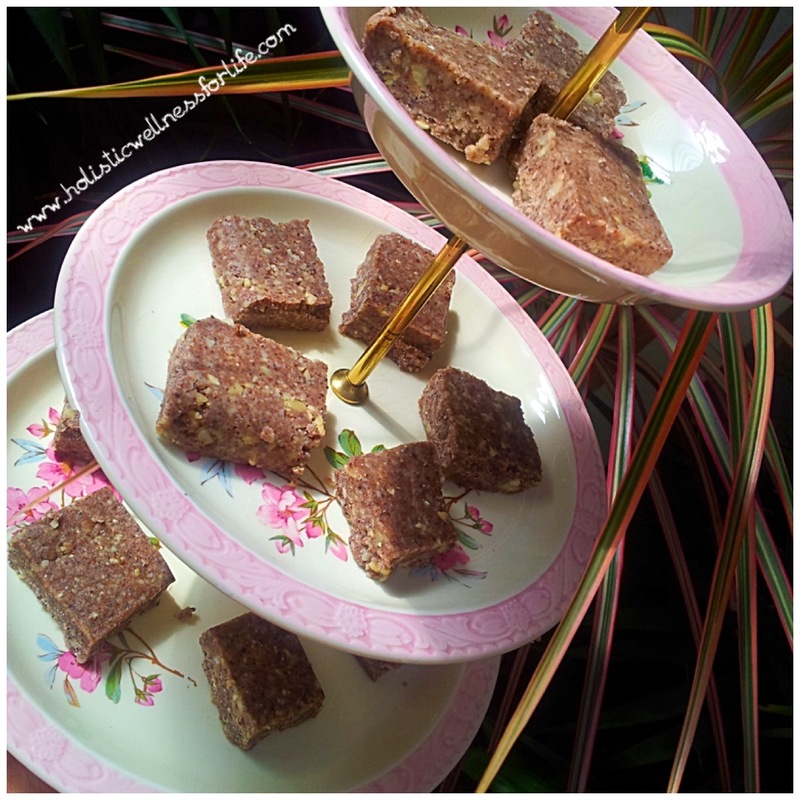 This is a great grab and go snack and is just bursting with flavour and nutrition. 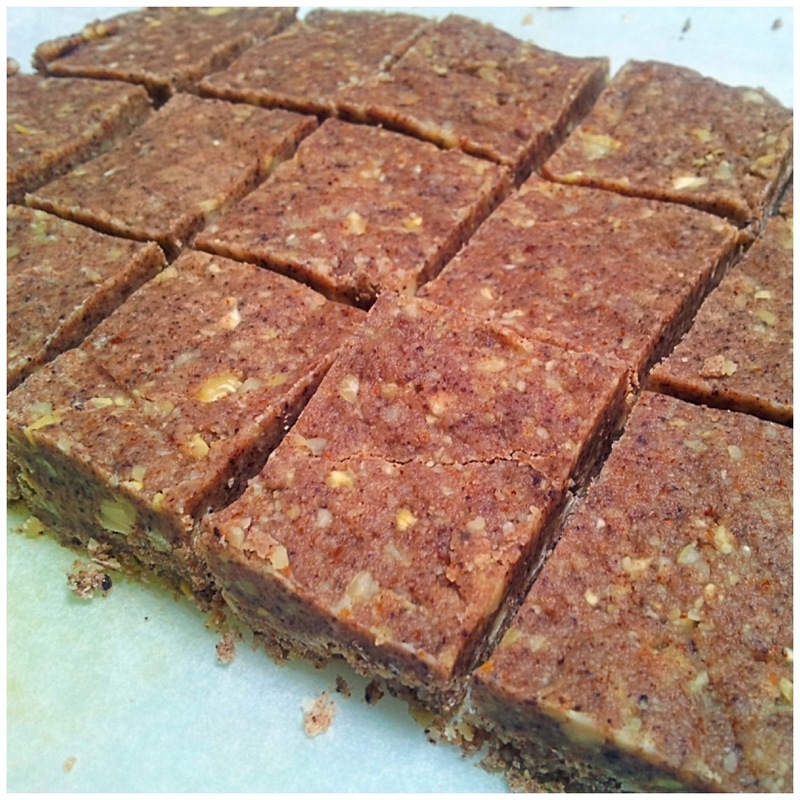 The raw mixture when freshly made is a heavenly snack all on its own and tasting it is one of life’s pleasures. 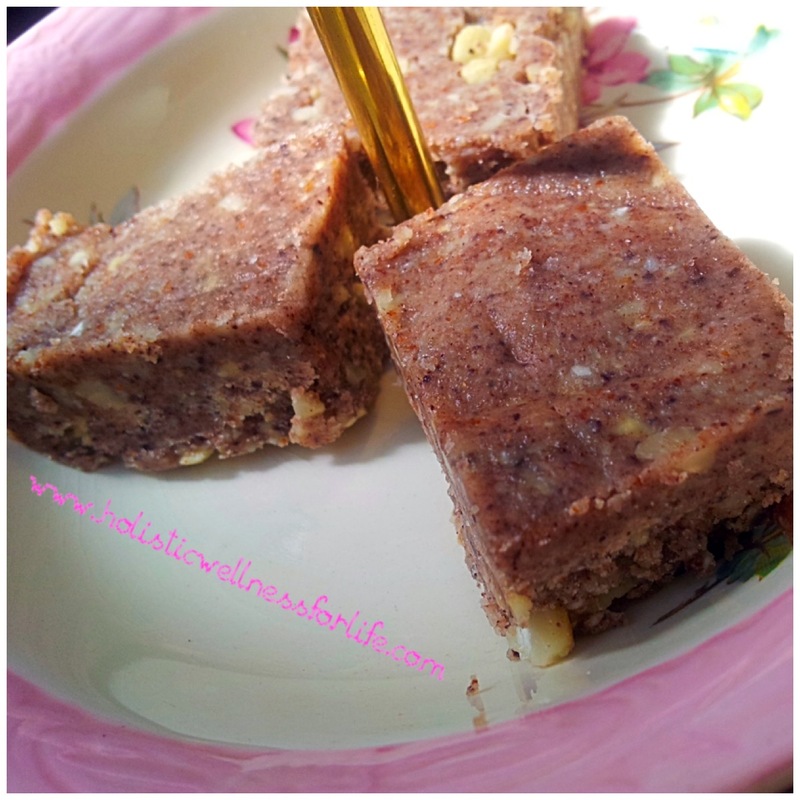 Extremely delicious and easy to make. I like to activate my nuts to remove the anti-nutrients but it isn’t essential. I try to do it if l can especially for the almonds but if you are just having a small amount then you can use the raw nuts that you have. 2 cups of raw activated nuts. Use a hard nut such as almonds. 3 level tablespoons raw organic honey (Buy the best you can). 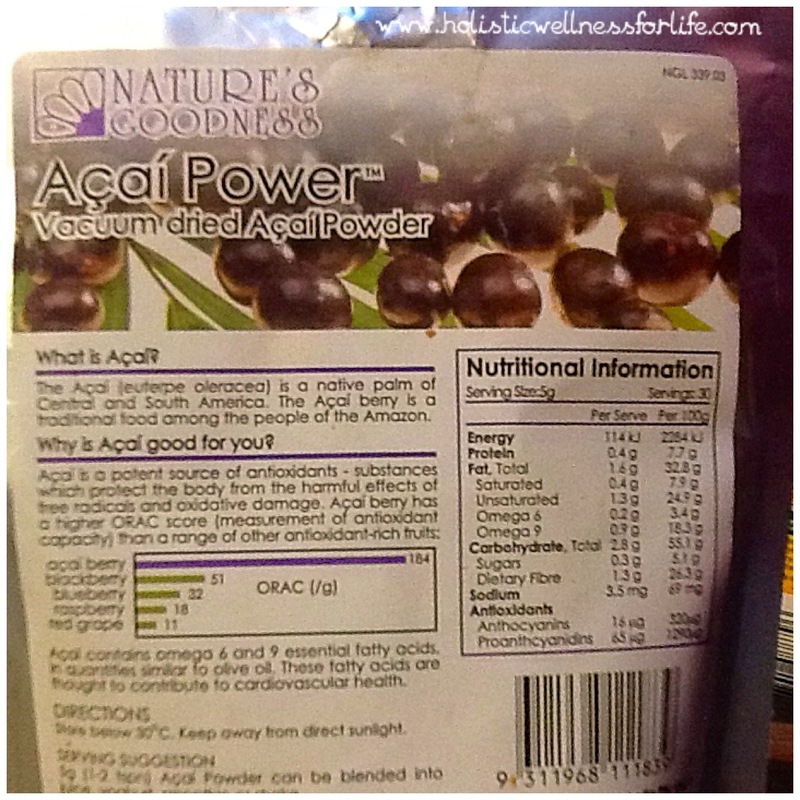 2 generous tablespoons Acai Berry Powder (This can be substituted for another Superfood powder or raw cacao). This powder is great in smoothies as well. 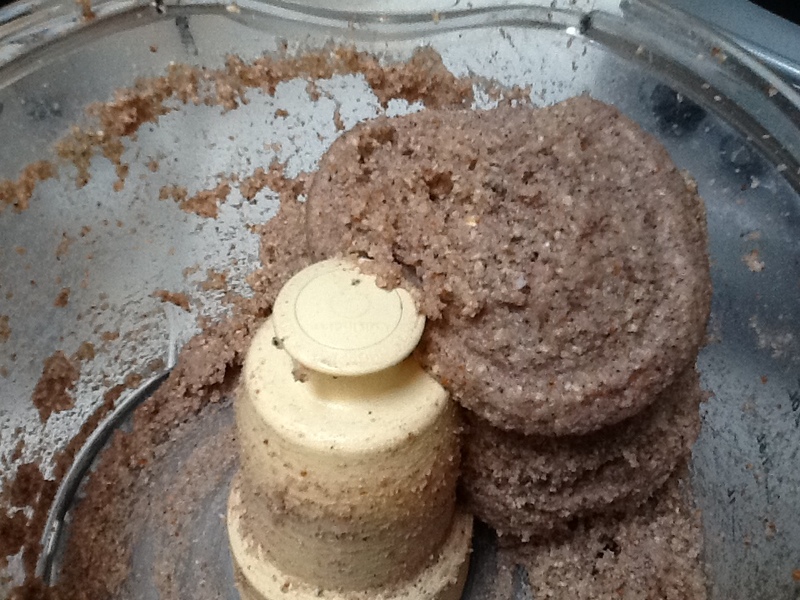 Add the almonds to the food processor (chopping blade) and process until it resembles almond meal. Add in the cashews and process. Now add in the Acai Berry Powder, honey and coconut oil (soft, chopped into small pieces or gently melted depending on the weather). 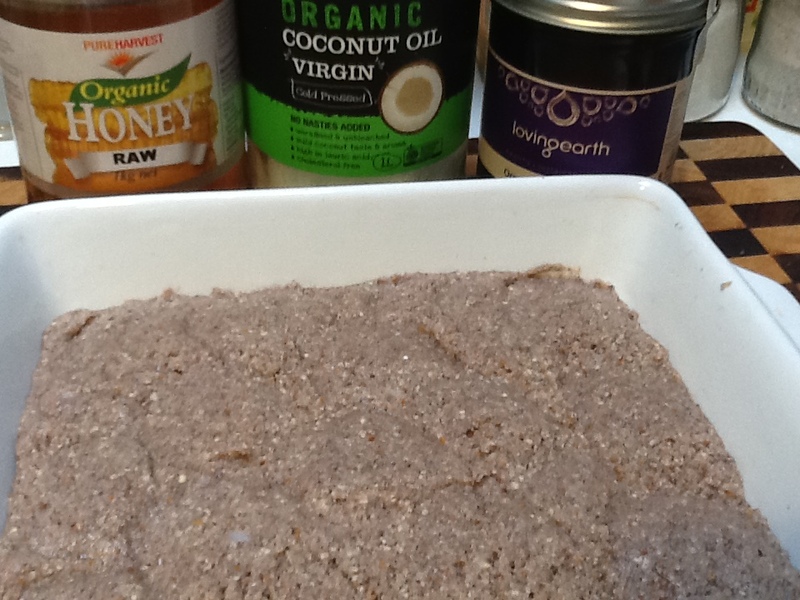 I tend to just use the coconut oil hard and chop it into pieces as l like small clumps in the slice. You can also run the jar under some warm water just to soften it a bit rather than heating. Process until well combined and then place the ingredients in a dish generously lined with baking paper and smooth out with a spatula. I didn’t use baking paper for this batch and it was hard to get out of the dish. Place in the freezer to set for a couple of hours then slice into portions and return to the freezer. Have a piece or two and enjoy. As this slice has a high healthy fat content it does soften quite quickly when at room temperature and l prefer to eat it straight from the freezer. You can follow me daily on Instagram at holistic_paleo and Facebook at Primal Living Melbourne, Holistic Wellness For Life and Gluten Free Central.